If you live in Melbourne (or in fact many areas of Australia) you’ll know that while summer may be officially over, it’s sting has certainly not gone away. Which is a great reminder that in hot weather, as well as cold, installing roller shutters in Melbourne is a wise choice. Perhaps the most notable one is that roller shutters are excellent insulators. Roller shutters prevent up to 90% of summer heat from entering your home and help keep the warmth in during the colder weather. The secret in the roller shutters installed by Outside Concepts is the high-density core, which significantly improves the insulation performance. If you live on a busy road or have noise neighbours, you’ll also appreciate the noise reduction afforded by roller shutters. This feature makes roller shutters particularly handy on bedroom windows and living areas. Burglars hate roller shutters, because windows are commonly their simplest way of gaining entry to a house. 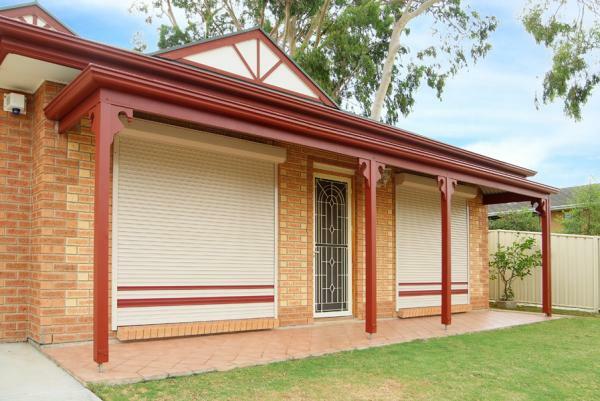 That’s why installing roller shutters on your Melbourne house will improve your security. Today’s roller shutters look great. For example, the roller shutters installed by Outside Concepts have smaller pelmets (the section at the top that houses the moving parts and shutters) and are available in 14 different colours. The control options available on today’s roller shutters are much improved on roller shutters of the past. You can lower and raise your new roller shutters in Melbourne using a wall switch, remote control or via sun sensor. And they can be raised or lowered part of the way if you wish. To find out more, go to our Roller Shutters Page or phone Outside Concepts on 1800 601 674.